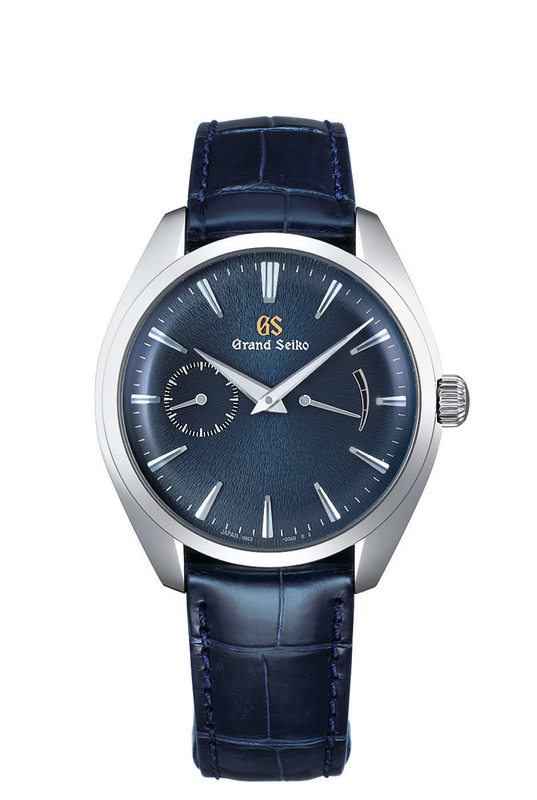 Grand Seiko is pleased to announce a new slim design in the Elegance Collection. The combination of a new case, a new manual-winding caliber with a small seconds hand and Urushi lacquer has made possible the creation of a watch that offers a new Japanese aesthetic. Caliber 9S63 is a significant addition to the ever growing Grand Seiko family of movements. It has been eight years since the last manual-winding mechanical caliber in Grand Seiko. 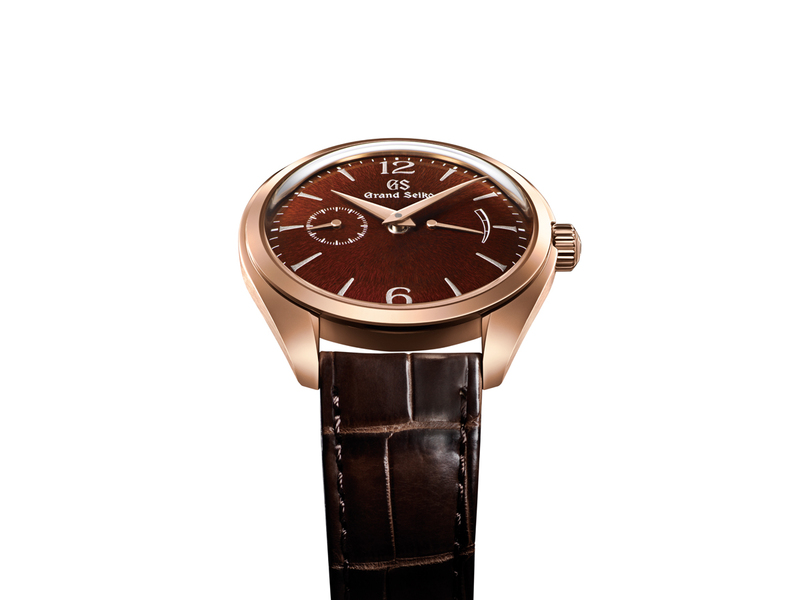 Caliber 9S63 offers a small seconds hand at the nine o’clock position and a power reserve indicator at three o’clock. While these sub-dials are easy to read, they are also discreetly unobtrusive and allow the eye to enjoy the beauty of the Urushi lacquer of which the dial is made. surrounds their home. 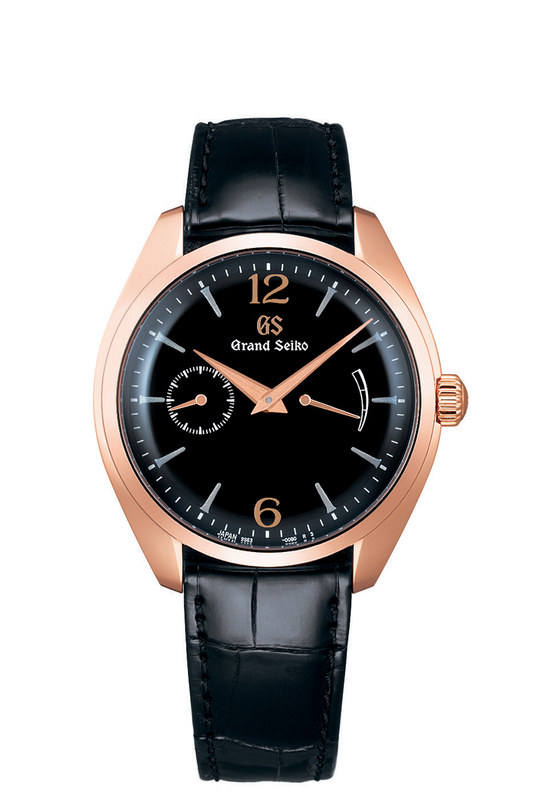 The black dial uses the same lacquer mixed with iron to give it its distinctive deep jet black color. On both creations, the hour markers and the “GS” letters are decorated with the traditional Maki-e technique by Urushi master Isshu Tamura in his studio in Kanazawa on the west coast of Japan’s main island. Through the application of layer after layer of lacquer, these markers are given a three dimensional profile and a delicate yet strong presence on the dial. Tamura then applies the powder, either 24k gold or platinum, and then polishes them by hand using his own special tools to give Maki-e its delicately shimmering appearance. Initially, this new design series consists of three limited editions. 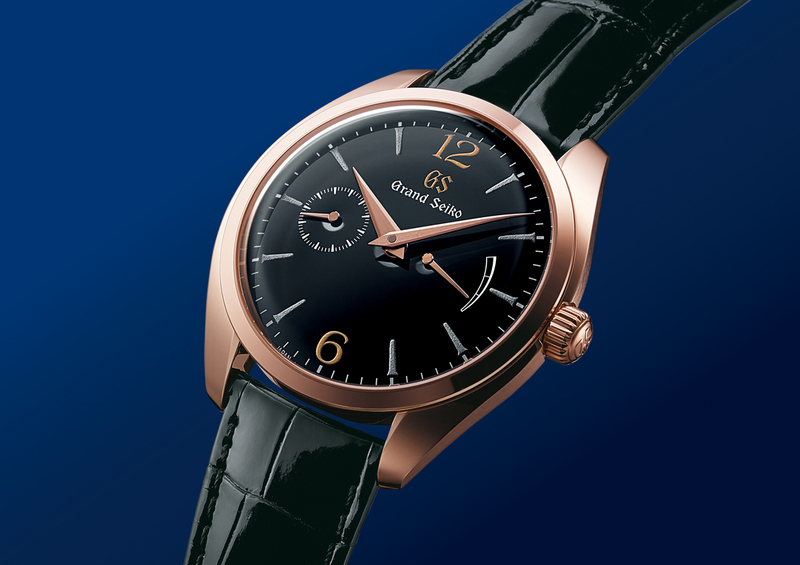 The two Urushi dial executions are in 18k rose gold cases and are editions of just 150 while the third, with its blue Mt. Iwate pattern dial, is in stainless steel and is an edition of 1,500. All three are available from March, 2019. 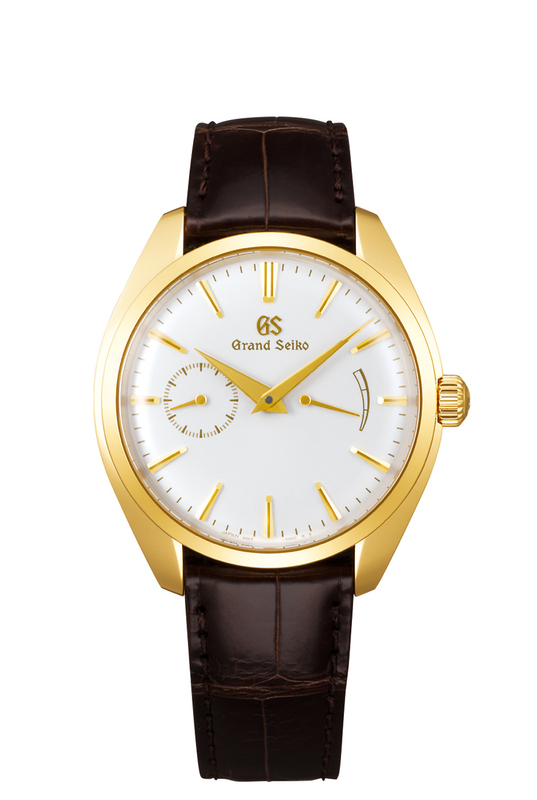 In addition, a fourth creation, with an 18k yellow gold case, will be added to the permanent Grand Seiko collection in July. 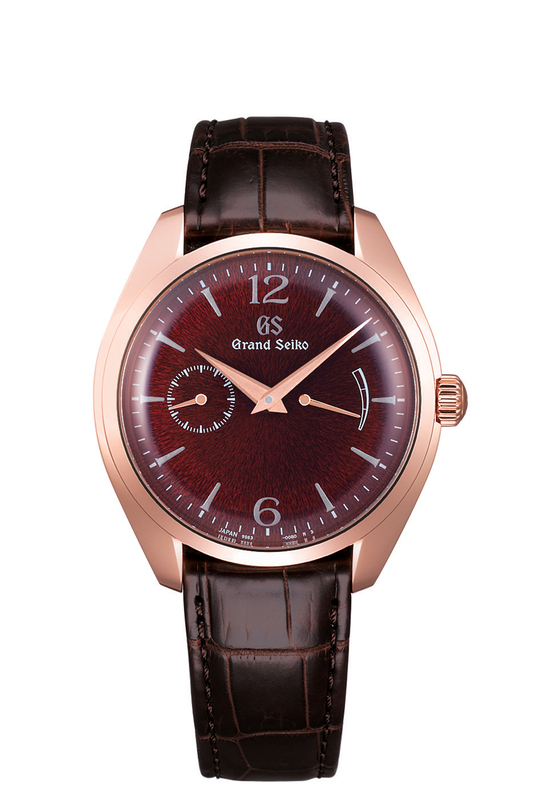 This series will be available at Grand Seiko and Seiko Boutiques and selected retail partners worldwide.